Pillars of Eternity: Lords of the Eastern Reach Will be at Strategicon! If you're in the Los Angeles area Labor Day weekend and are going to Strategicon/Gateway 2015, be sure to look the Zero Radius Games team! 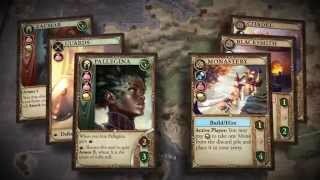 They'll be running games of the Pillars of Eternity: Lords of the Eastern Reach physical card game and will be more than happy to show the game off!